Private dance classes in Ballet, Contemporary, Hip Hop, Jazz, Modern, Tap and more are available at Joy of Dance. We understand that sometimes a dancer needs that individual attention that only a private class can offer. From the first meeting, your teacher will take the time to understand you and your dance goals in order to give you the best program to achieve your milestones. 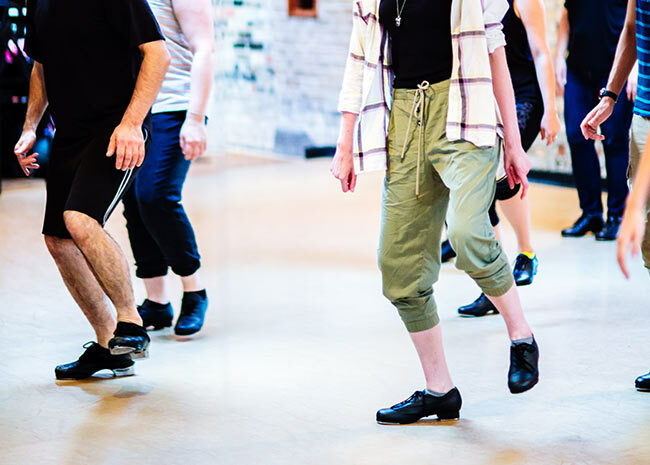 Whether you are dancing for the first time,getting back into dance shape, preparing for an audition or maybe a dance exam, we are here for you. Our teachers are fully qualified, experienced, professional and ready to give you their best 7 days a week. The introductory special includes 4 private dance classes of 45 minutes each (must be used within a 60 day period). The classes are designed to give you personalized attention tailored to suit your dance goals. Only one Intro Special per person or couple is available at a cost of $360. Please note that 24 hours notice is required to cancel. All last minute cancellations will be charged for the lesson. Register for this package by calling 416-406-3262 or come visit us to discuss your personal program options. Semi-private lessons give you the benefits of private class attention. They appeal to a group of friends who want to learn together. Prices vary according to number of students and level of dance requested. Please call for more details. Are you interested in training for RAD exam and you don’t know what level you are at? At Joy of Dance, you have access to a $30 private assessment for 45 minutes. Please call for availability. Pointe work is a demanding and an advanced extension to your ballet training. Because of the physical risk involved in dancing on pointe we require you have an assessment with our pointe teacher, Emily. Emily will ask you about your history of ballet and pointe training and then look at some simple barre and centre exercises to assess your technique. She will then work with you on any of your issues; alignment, strength, flexibility, and give you a series of individualized exercises to ensure you are on the right track. If you are not quite ready for pointe shoes she will make sure you know exactly what you need to know to achieve your pointe goals. If you are ready, she will talk to you about what to look for in a shoe, where to buy them and any additional information about your feet that you might need at your first pointe shoe fitting. If you are experienced in pointe Emily still requests that you make an appointment for an assessment. You will learn something about your dancing that will assist you in your progress and she will let you know if you have any old/bad habits that don’t serve you anymore and how to let go of them. She can also look at your current shoes and make sure they are still working for you. Injury prevention is at the heart of her assessments. If you are registered for one of our Teen or Adult RAD programs and are preparing for a ballet exam you have access to RAD coaching classes. These are half hour private lessons specifically designed to work on your exam exercises and choreographies. We want you to succeed in your exams, and private lessons give a huge boost to your training and progress. Contact your teacher for bookings. At Joy of Dance, you have access to a $35 coaching session for 30 minutes. last minute cancellations will be charged for the lesson. Prices for semi-private lessons vary.